Study daily, current news headlines and latest news updates with The Tutors Academy. 1. ‘Aloshree’, a scheme taken up by Bengal government to fit solar panels in all government offices and educational institutions. 2. Air India subsidiary Alliance Air operated three flights to the naval airbase, which was okayed for commercial flights last week after the local airport was shut due to flooding on August 15. 3. The guidelines of Members of Parliament Local Area Development Scheme has provision that in the event of a ‘calamity of severe nature’ in any part of the country, an MP can recommend works up to a maximum of ₹1 crore for the affected district. The guidelines further say that from the day an MP makes such contribution, concerned authorities have to identify relief works in one month and the same should be implemented within eight months. 4. The 25 judges of the Supreme Court will contribute ₹25,000 each for relief and rehabilitation efforts in the aftermath of the floods in Kerala. 5. The Government of Maldives will donate $50,000 (roughly ₹35 lakh) towards flood relief in Kerala, authorities said. This donation is a small gesture to a neighbour and friend who has always stood by Maldives in need,” Ambassador of the Maldives to India Ahmed Mohamed told The Hindu on Monday. Get daily current news headlines & current affairs with The Tutors Academy. 6. Negotiations on the Regional Comprehensive Economic Partnership, among 16 Asian and Pacific Ocean countries, have entered a decisive phase. Most potential member-countries of the grouping, that comprises the 10 ASEAN members and their Free Trade Agreement partners, Australia, China, India, Japan, New Zealand and Republic of Korea, would like to see a “substantive agreement” on the trade deal by the end of this year. 7. 2nd October 2019 is the 150th birth anniversary of Mahatma Gandhi. 8. The UN Sustainable Goals Report, 2018 notes that climate change is among the key factors in rising hunger and human displacement. The World Health Organisation estimates that climate change will cause an additional 250,000 deaths per year between 2030 and 2050, due to malnutrition, malaria, diarrhoea and heat stress. In 1991, the Supreme Court directed the Central government and all State governments to provide compulsory environmental education to all students in schools and colleges. Crack all competitive exams with The Tutors Academy and get daily current news headlines in English. 9. The nation remembered former Prime Minister Rajiv Gandhi on his 74th birth anniversary on Aug 20, 2018 with a host of leaders led by Prime Minister Narendra Modi paying homage to him. 10. What are the classifications of disasters, and how does this affect funding? 11. How are the NDRF and the SDRFs funded? The NDRF is funded through a National Calamity Contingent Duty levied on pan masala, chewing tobacco and cigarettes, and with budgetary provisions as and when needed. A provision exists to encourage any person or institution to make a contribution to the NDRF. However, this source of funding has not been tapped so far, according to the government. The 14th Finance Commission recommended changes to this structure once the cess was discontinued or subsumed within the Goods and Services Tax. However, the government, instead, decided to continue with the National Calamity Contingent Duty even in the GST regime. The SDRF corpus is contributed by the Union government and the respective State governments in a 75:25 ratio for general category States and 90:10 for Special Category States. The allocation of the SDRF for each State is done by the Finance Commission, and the Centre contributes its specified share each financial year. The Central share of SDRF is released in two equal instalments, in June and then in December. 12. How have NDRF funds been allocated to States in the recent past? In 2017-18, up to December 27, 2017, the Union government released NDRF funds to nine States — Arunachal Pradesh, Bihar, Himachal Pradesh, Karnataka, Kerala, Nagaland, Rajasthan, Tamil Nadu, and Telangana — over and above its contributions to their respective SDRFs. The recipient of the highest amount was Karnataka, which got ₹913 crore that year. Over the four years till December 27, 2017, the Centre has released the most cumulative funds to Maharashtra (₹5,244.69 crore), Karnataka (₹5,122.45 crore), Uttar Pradesh (₹4,949.04 crore), Tamil Nadu (₹3,115.31 crore), and Madhya Pradesh (₹1,958.93 crore). For specific calamities, the Centre released ₹1,365.67 crore for the Chennai floods of 2015 and ₹218.76 crore after Cyclone Vardah in 2016. Andhra Pradesh received ₹400 crore and ₹230 crore after Hudud ravaged Visakhapatnam. 13. 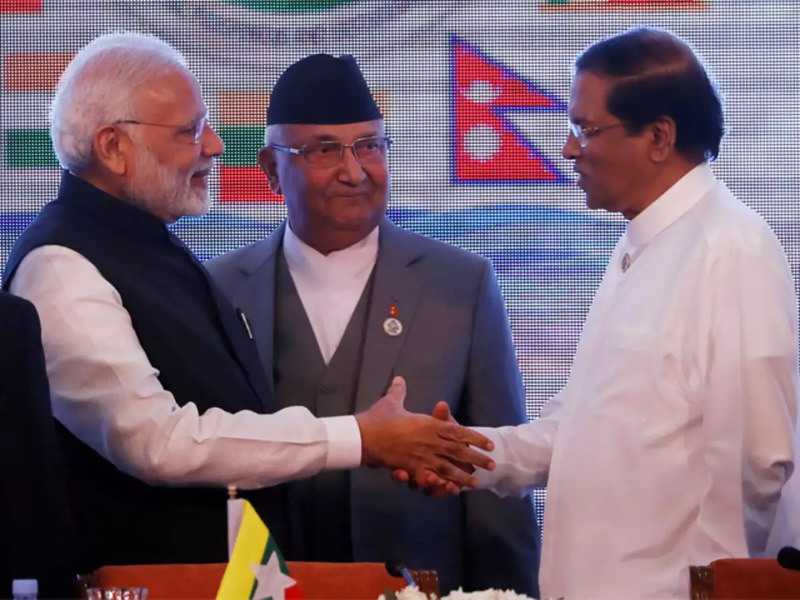 Prime Minister Narendra Modi will join a summit of leaders from BIMSTEC countries in Kathmandu on August 30-31 and hold bilateral talks with most of them, including Bangladesh Prime Minister Sheikh Hasina and Nepal Prime Minister K.P. Oli. 14. A Special Bench monitoring the CBI investigation into the alleged extrajudicial killings in Manipur will hear a petition filed by 355 Army officers in the Supreme Court, alleging “persecution” by agencies such as the CBI for doing their duty in the insurgency-hit areas of Jammu and Kashmir and the north-eastern States. It was this Bench of Justices Lokur and Lalit, in a July 2016 judgment, that ended the immunity provided by the Armed Forces (Special Powers) Act of 1958 (AFSPA). The judgment declared that “there is no concept of absolute immunity from trial by a criminal court”. 15. Greece emerged from the biggest bailout in economic history on Monday after nine years of creditor-mandated austerity, with European institutions hailing the exit a success but jaded Greeks finding little reason to celebrate. The milestone weans the debt-burdened eurozone member off financial lifelines offered on three occasions by creditors over the best part of a decade, and the country will now need to support itself. 16. American lawmaker Carolyn Maloney on Sunday said that she will introduce a legislation to posthumously award Mahatma Gandhi a Congressional Gold Medal, the highest civilian award in the U.S., for inspiring peaceful movements for civil rights around the world. In 2016, she had led the successful effort to create the Deepavali Stamp, which she says has since become one of the highest selling stamps. 17. Singapore-listed Sembcorp Industries said its power plant in India won a tender to supply 250 megawatts of power to Bangladesh for 15 years. 18. Maxxis India, the Indian subsidiary of Taiwan-based tyre-maker Maxxis, plans to set up five additional manufacturing plants in the country. 19. One97 Communications, that owns the Paytm brand, on Monday introduced ‘Paytm AI Cloud for India’ — a cloud computing platform aimed at developers, start-ups and enterprises. The company has partnered with Chinese technology giant Alibaba for the cloud computing infrastructure. The cloud computing platform will offer a suite of business-centric apps for organizations that need solutions for cloud computing, ready-to-use services to automate their workflow, easy to integrate payments, messaging and customer engagement. Get daily current news headlines and latest news updates- The Hindu. 20. Vinesh Phogat claimed India’s and wrestling’s second gold medal at the 18th Asian Games here, overpowering Japan’s Yuki Irie 6-2 in the 50kg final to end her losing streak to her opponent — this was the fourth meeting between the two with Irie having the upper hand every time before this. 21. Deepak Kumar and Lakshay Sheoran, shooters with contrasting career paths, made major breakthroughs on Monday by winning silver in the men’s 10m air rifle and men’s trap. This refers to the common solution to a problem that is chosen by individuals in a group when there is an absence of coordination between them. In other words, it refers to people’s expectations of what others expect them to do in the absence of sufficient information to coordinate their actions. Two strangers agreeing to meet in a large city, but without any predetermined time or venue, for instance, might decide to gather at a prominent locality of the city at a significant moment. It is named after American economist Thomas Schelling who proposed it in his 1960 book, The Strategy of Conflict. Minister of Human Resource Development Prakash Javadekar. Meaning – Something or someone that one vehemently dislikes. Meaning – A formal curse by a pope or a council of the Church, excommunicating a person or denouncing a doctrine.